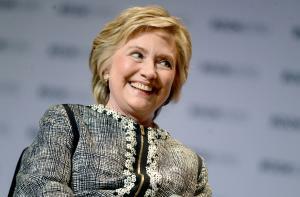 March 8 (UPI) — The Radcliffe Institute at Harvard University announced Thursday that former Secretary of State Hillary Clinton will receive the institute’s Radcliffe Medal. Clinton will receive the award May 25 during Harvard’s commencement week, the Radcliffe Institute said in a statement. The institute awards medals to people who have had a “transformative impact” on society. Previous Radcliffe medalists include U.S. Federal Reserve Chair Janet Yellen, U.S. Supreme Court Justice Ruth Bader Ginsburg, former U.S. Senator Elizabeth Dole and former U.S. Secretary of State Madeleine Albright. The 2018 program will feature a tribute to Clinton delivered by Albright and a keynote conversation between the former first lady and Massachusetts Attorney General Maura Healey.